Meet Belle. 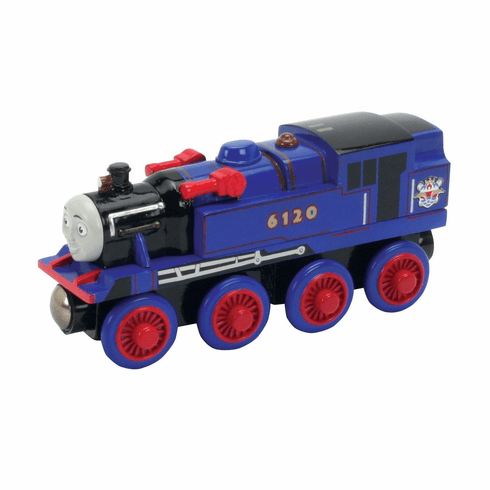 Belle is one of the newest additions to the Thomas and friends collection and is featured in the DVD "Day of the Diesels". Belle is a big blue engine with a brass bell and helps Thomas and Percy put out the fire at the old farm shed. Age grade 2 years and above.